In other Vocal Tips,we addressed the importance of warming-up your voice before rehearsals and gigs. Now let’s take a look at what your voice needs after performance or rehearsals. I have heard many singers complain of vocal fatigue and huskiness after a gig. They were confused as to what they were doing wrong. They were warming up beforehand and working correctly with their voice while singing. They could hear themselves in the monitors and weren’t straining, so why did they have vocal fatigue or a husky voice? This situation was corrected by 5 to 10 minutes of cool-down exercises immediately after their performance. To understand the value of Vocal Warmups and cool-downs, you have to think like the vocal athlete that you are. Runners don’t just stop and sit down after a marathon run or even a short sprint. Athletes walk and gently stretch until their muscles have returned to normal. Your vocal muscles are small and subtle compared to the ones in a runner’s legs, but they undergo a similar workout when you sing or do a lot of vocal exercises. When muscles are demandingly used, they thicken with blood. As any knowledgeable athlete would tell you, after a vigorous workout it is beneficial to spend some time cooling-down your muscles.The purpose of your cool-down is to help your vocal muscles return to their normal speaking condition. The Lip Trills, as given in the free Vocal Warm-ups available elsewhere on this site, also work well as a cool-down. 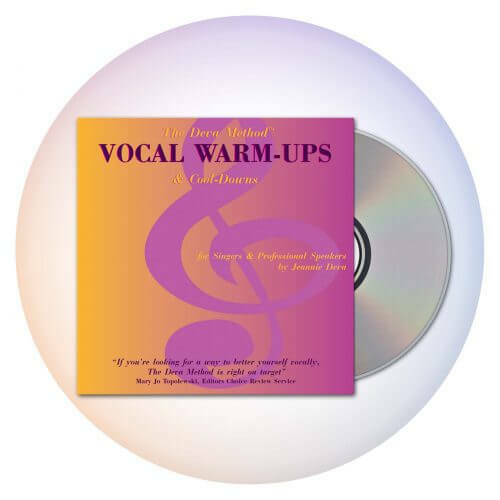 In fact, any basic vocal exercises that can be used for vocal warm-up can serve for cool-down. 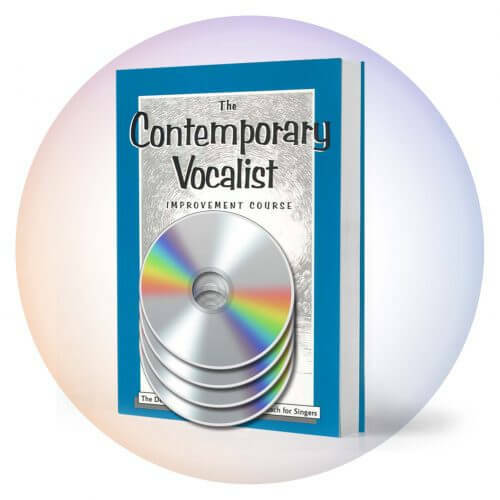 This is covered in more detail on my Warm-up CD or in The Contemporary Vocalist Vol 1. Another simple cool-down exercise is to slide your voice through a series of 5 notes, using an “Ah” or an “Ee” vowel sound. Gently slide from the root (tonic) of a scale up to the fifth (eg. C up to G) and back back down to the root imitating the sound of a siren. Continue this small slide climbing slightly higher each time and then sliding down to slightly lower tonic. In this way you will be starting lower and ending higher, stretching the range of the siren. Do not be concerned with range though and use a very easy relaxed speaking volume. If you find it difficult to do lip trills or other vocal exercises immediately after your rehearsal or gig, sing an easy song at a low (but not whispered) volume. If you are a bit self-conscious about doing these cool-downs in the presence of others, just remember that professionals do what it takes to sound great and prolong their careers. You will just have to overcome any embarrassment, do the cool-downs to satisfy the needs of your vocal muscles as you maintain vocal health and longevity. Up to 5 minutes of cool-down is often sufficient, but continue until you notice a difference. Your speaking voice should sound normal again and feel comfortable. If you don’t yet own a copy of my Warm-up CD, I urge you to buy and use it. All of the exercises found on that CD can be used as cool-downs. 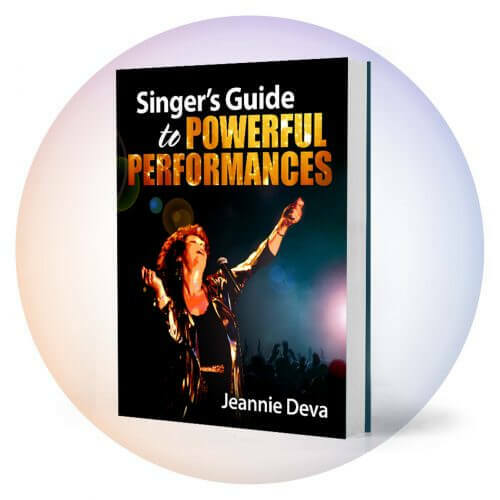 You can reduce vocal fatigue, improve resonance and tone while broadening the way you think of sounds, all by doing these simple vocal warm-up and cool-down exercises.